Olivia Ambrose, the 23-year-old woman who disappeared outside a downtown bar Saturday night, was found Tuesday in Charlestown, and Victor Pena, 38, was arrested in connection with her alleged abduction, according to Boston police. 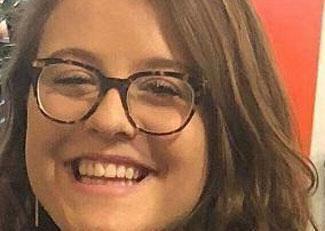 Ambrose left Hennessy’s, a bar near Faneuil Hall, at 11:04 p.m. Saturday night with a man who police say was not involved with her disappearance. Approximately 40 minutes later, two men were seen inviting Ambrose to walk with them in the area of Congress and State streets, police said. One of the men appeared to walk ahead while the second man placed his arm around Ambrose and directed her towards the MBTA’s State Street Station. • Olivia Ambrose was at Hennessy’s with her twin sister, Franny, and some friends to see a rock band performing at the bar that night and left separately. • Ambrose was reported missing at 5:20 p.m. Sunday by her sister when she didn’t answer phone calls. • Using video images, police said they were able to see Ambrose leave Faneuil Hall, walk up Congress Street with her alleged kidnapper’s arm around her, head into the State Street T Station, exit at Community College Station, and walk toward the suspect’s apartment in Charlestown. • After Franny was unable to reach Olivia after the Saturday night trip to the bar, she used a common iPhone feature that lets people find the location of their friends or relatives. The app told her sister that the last known location of Ambrose’s phone was near the intersection of Corey Road and Walford Way in Charlestown. • Police found Ambrose in Charlestown at 3 p.m. Tuesday in Pena’s apartment on Walford Way, part of the Bunker Hill housing development near the Tobin Bridge. She was then taken to an area hospital for evaluation. • Pena was arrested in connection with Ambrose’s apparent abduction. He faces a charge of kidnapping and will be arraigned Wednesday in Charlestown Municipal Court. • Pena has a long history of menacing behavior toward women, and at least one ex-girlfriend accused him of sexual assault, according to court documents. • Pena was arraigned on a sole count of kidnapping Wednesday at Charlestown Municipal Court. A not-guilty plea was entered for Pena, and he was sent to Bridgewater State Hospital for a mental competency evaluation. Officials say more charges are possible as the investigation proceeds. • Magaly Galvis, 47, a neighbor of Pena’s, said that last week he was staring at her 14-year-old daughter and making noises from his residence. She also told the Globe that last year, she and her daughter were walking with friends in the neighborhood when Pena started to follow them on his bike. She said the group tried to walk in the other direction several times, but he kept turning around to follow them while mumbling. • Another neighbor, Palvis Alvarez, 28, said that one night Pena started to catcall her and get close to her when she got off work late and parked in front of his house. • Investigators still want to find the other man who was captured on the surveillance video at one point with both Pena and Ambrose, to determine whether he is a suspect or a witness.